A wall of disco ball paintings featured at the Pacific Design Center caught our attention of contemporary artist Nick Fyhrie. #chagall at LACMA in view now! a beautiful translation of painting as design for the backdrop walls of contemporary ballets Marc Chagall worked on in the 1940s-1970s. We love the new Home collection by Christian Lacroix at Roche Bobois. When you don’t have a wall, use a paneled screen! This urban garden scene is whimsical and the lacquered finish with brass details are sophisticated and seductive. Love the way the wall panels frame the diners at Le Pain Quotidien today. 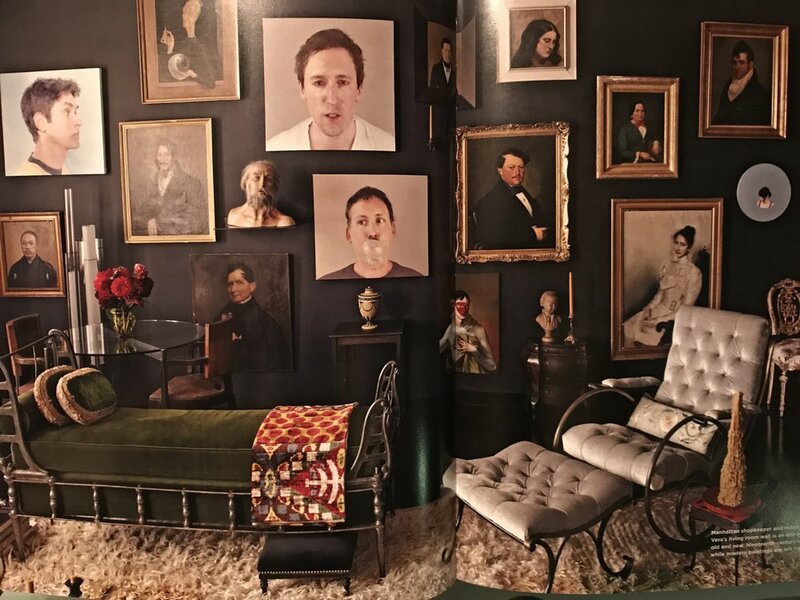 Serious wall envy with this set-up of Frederico de Vera’s living room featured in ‘The Finer Things’ by Christiane Lemieux (published by Potter New York). Now that’s a salon wall to remember! Another arrangement from yesterday's shoot. Tulips are a less traditional flower for turkey day, but why not? !...and the tuberoses smell divine!